The children within the Early Years Unit follow the Early Years Outcomes which form the Early Years Curriculum. From here, when they are ready, the children move onto following the New Primary Curriculum National Curriculum Document. Archibald First School has used this document to create our Curriculum Maps for Key Stage 1 and Key Stage 2. These will inform you of the objectives covered in each of these phases. Each class has daily literacy and numeracy sessions. The teachers ensure that the lessons are stimulating and fun, and use real life situations to engage the children. Much of the literacy work links with the half term’s topic which makes it even more purposeful! The children in Reception, Year 1 and Year 2 each take part in a daily 20 minute phonics session which is tailored to their needs. School uses the Phonics Play resources which supports the Letters and Sounds phonics programme. When the children are ready and are secure with their phonics knowledge, they move onto spelling strategies and conventions. This is usually at the end of Year 2 and as they enter Year 3. Within Key Stage 2 (Years 3 and 4) the children have Spelling, Punctuation and Grammar sessions in addition to their daily literacy work. These are adapted to the needs of the children. The school teaches phonics (the knowledge and understanding of sounds) as one of the strategies to support the children with their reading and spelling. We encourage children to sound out (segment) the word they are attempting to read or spell, and to use their knowledge of sounds to blend the sounds back together. At Archibald, we endeavour to follow the children’s interests and lines of enquiry. Each year group has a new topic for each half term. The teachers ensure that they deliver the objectives from the National Curriculum in ways which engage the children and make links wherever possible. They also find out what the children want to know and ensure that they work together to find the answers to their questions. We never know what the children are going to ask and that is what makes it even more interesting! Each class has a ‘PLOD’s board’ (Possible Lines of Discovery) which changes as the term progresses. It shows the children’s ideas and questions and how we have worked to answer these through photographs, pieces of work or visits etc. Please feel free to come into the classrooms to see the boards. Please see our Key Policies Page for our Creative Curriculum policy. We aim to provide a broad and balanced reading experience for your children throughout their time at Archibald. The school uses a variety of reading schemes such as Oxford Reading Tree, Rigby Star, Big Cat and Collins which ensures that all the children have access to a wide range of books (fiction, non fiction and poetry). The books are grouped into colour bands and the class teacher will make sure that your child is selecting books from the colour band that is right for them. It is important that your child is able to discuss the books they read and demonstrate their understanding. Please note that you may find that there are different ‘level’ books within one colour band. Whilst the books are selected for the children in Reception and Year 1, from Year 2 onwards the children are encouraged, and shown how, to change their own books. This gives the children a level of responsibility and independence while also allowing the children to select books that interest them! Reading books that they have chosen will only enhance their love of books as they read for pleasure as opposed to reading the books ‘the teacher’ has given them. At Archibald we are lucky to employ Senora Linfoot who teaches a weekly Spanish session to each class from Nursery to Year 4. For this academic year, Spanish is new to those children from Nursery to Year 3 whilst the Year 4 children have been studying it for the last year. The children learn Spanish through songs, games and conversation which in turn helps them to recognise written words. Our oldest children are also learning to write in Spanish when they are ready! Religious education enables children to investigate and reflect on some of the most fundamental questions asked by people. At Archibald First School we develop the children’s knowledge and understanding of the major world faiths, and we address the fundamental questions in life. We enable children to develop a sound knowledge not only of Christianity but also of other world religions, especially those that are the main faiths of children within our school. Children reflect on what it means to have a faith and to develop their own spiritual knowledge and understanding. We help the children learn from religions as well as about religions. Archibald First School is passionate about supporting pupils’ physical emotional health and well being. We currently have Newcastle Schools Healthy Award and have a comprehensive PSHE education programme which we deliver across the whole school. Our programme has been written in line with National Guidance (PSHE Association 2013). It covers important issues such as health and well-being, relationships and living in the wider world. The programme is delivered through our topic work and also discretely with each class receiving one lesson per week. The programme is delivered by class teachers, support staff and has input from our School Nurse, Gemma Cook and other contributors. We believe in promoting children’s spiritual, moral, social and cultural development within our school ethos and strive to understand the person as a whole. If you would like any further information about our PSHE programme including resources, please contact Angharad Watson or Rubie Kiddy who are our PSHE Subject Leaders at school. At Archibald, we have a rounded programme of assemblies which include singing and celebration assemblies as well as those focusing on key values such as tolerance, respect, fairness and democracy: ‘Modern Values’. We also celebrate significant dates and festivals around the world. Our assembly rotas show the themes that will focused on throughout the year. These may change to reflect events in school, locally and around the world as well as visitors into school. 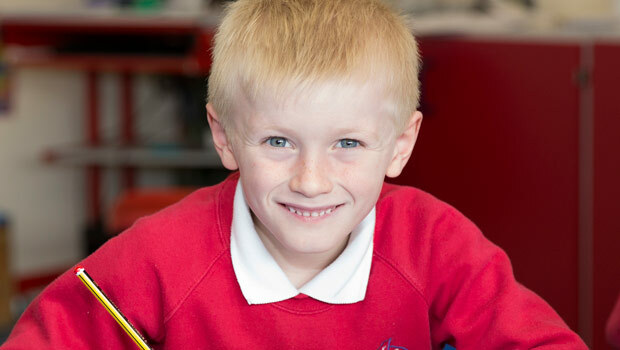 More information to support your child’s learning can be found on the Support Topics page.